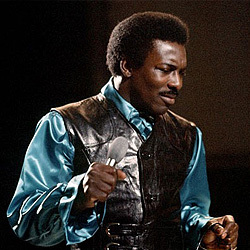 In 1967, the year in which a plane crash abruptly ended the meteoric career of the King of Soul Otis Redding, the far less well-known singer Wilson Pickett became the focus of the black music movement. While Redding, who was born in the same year as Pickett, 1947, and shared the same gospel-choir background, had already made numerous hits, Wilson was only offered a contract by Jerry Wexler of Atlantic Records in 1964, but swiftly caught up with him in the next few years. One hit followed another, including such great numbers as In The Midnight Hour and Everybody Needs Somebody To Love, which not only the Rolling Stones covered later. 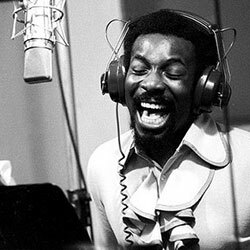 The Sound Of Wilson Pickett is far more than a mere word. The title is a pledge to a radical musical language that is intentionally different from that of the Motown Sound. 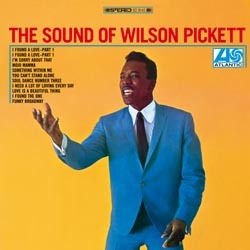 Just because the cover shows Pickett wearing a smart tailor-made suit does not mean that his songs – many of them self-composed – don’t explode with irrepressible power. And explode – with anger – he certainly could in everyday life, even going as far as threatening his colleagues with his fists. 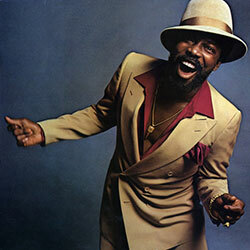 It soon becomes apparent that his explosive nature and his splendid band play authentic black music with a vengeance. Hits such as I Found A Love and Funky Broadway are in the present coupling. This soul sound is hard as steel, with sharp phrasing and an obligatory loudness in which Pickett virtually screams out his soul. The more sensitive among us might need a little time to get used to the forceful vocal and rhythmic attacks. But it’s certainly worth the while. The genial ideas are developed with structural depth and are filled with the pure Spirit of Soul.